The DoorBird D21DKV is a multi tenant IP Video Intercom system designed for use in apartment buildings and multi dwelling units. Installed at a front entrance or gate, visitors will be able to use the name directory to find and call residents. 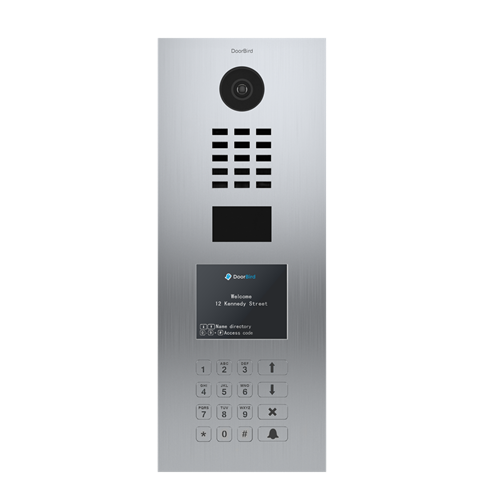 The D21DKV can also be used with SIP systems, has an open API and can integrate with Control4, Crestron, RTI, URC and many more.